We love Geography! It is a subject that is near and dear in our homeschool. Since we do so much of it, we have put together a great set of a dozen activities. 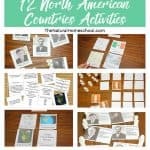 With this set of activities, kids will be learning about and reviewing the 7 continents of the world, recognize country flags of the world, sort land, water and air on our planet and so much more! 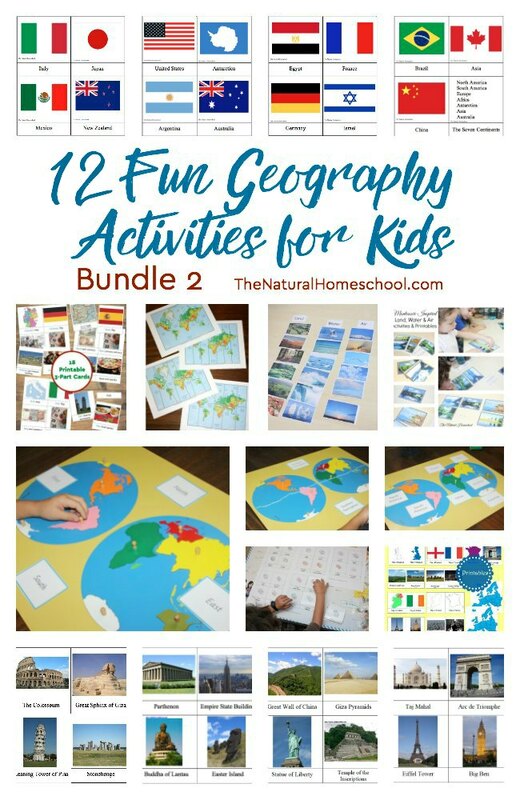 These 12 Geography Activities for Kids (bundle 2) is awesome! And the best part is that this includes an awesome BONUS! You get a copy of our Montessori at Home Resources List, which you can always use as a reference. 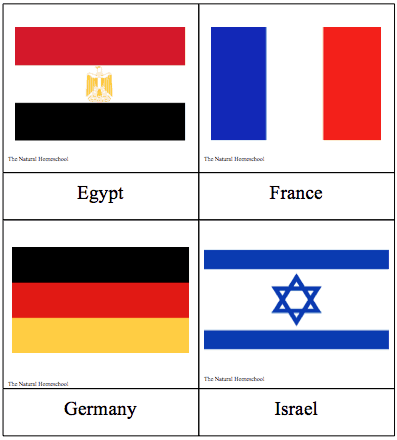 Have to teach the kids about the seven continents of the world or about flags and countries of the world? Make it easy on yourself and grab this bundle! It is so much, right at your fingertips! You will love the ease and the kids will love the activities! 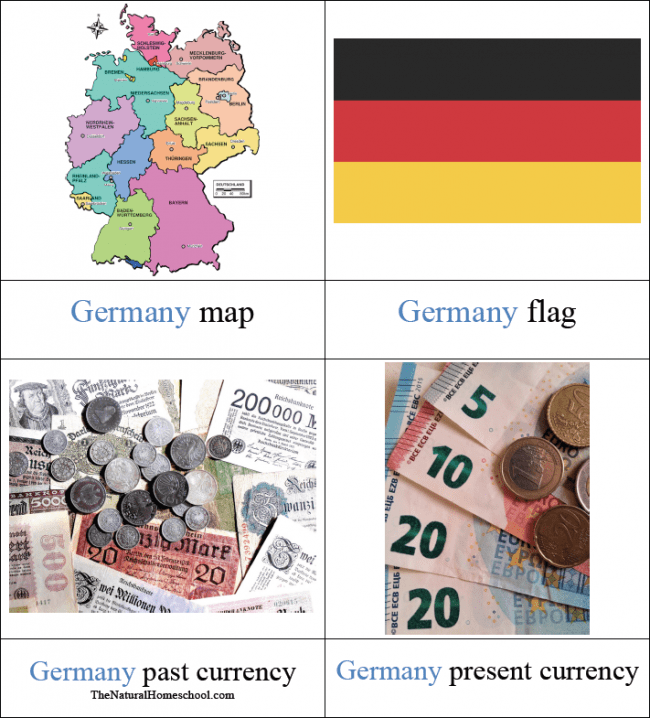 Germany, Spain & Italy 3-Part Cards: Learn about these three awesome countries and find them on a map. 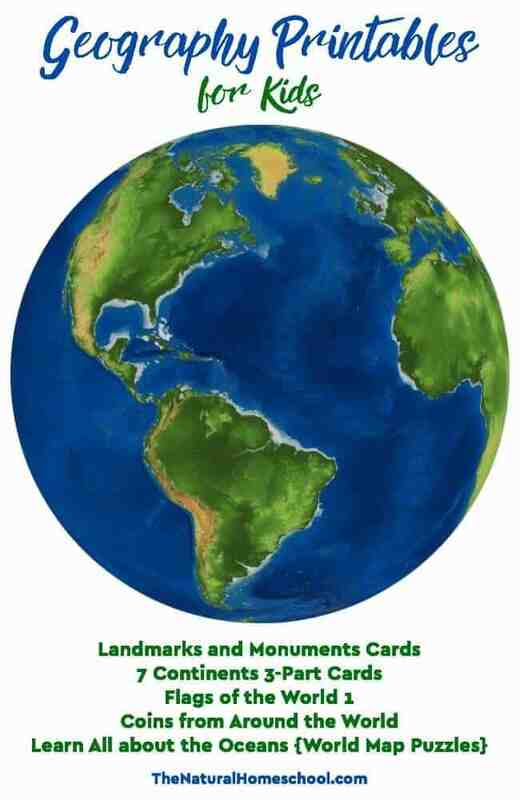 Land, Water & Air Labeling Activity (large images): Children will learn the difference between the three by finding them on different pictures of our planet. Land, Water & Air Sorting Activity (small images): Place the labels for all three on the table or rug and then sort the images in the right place, under the correct label. 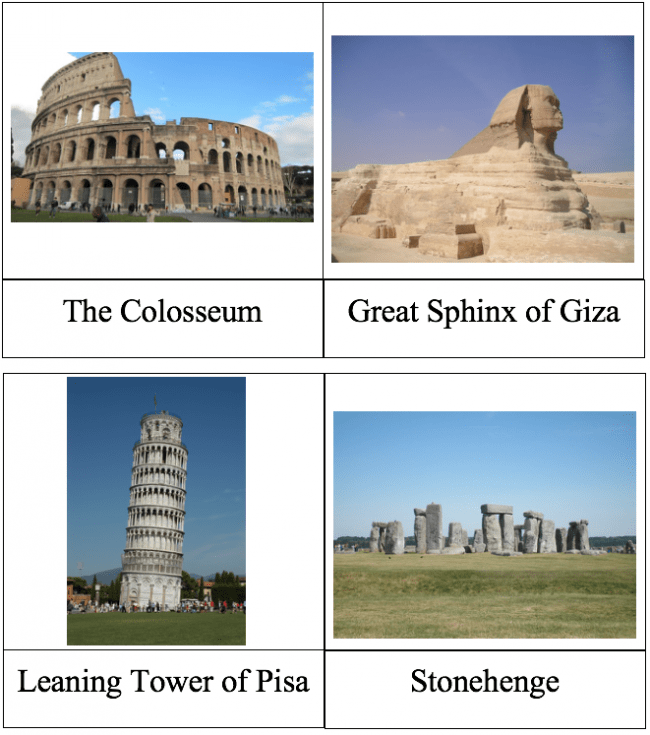 Around the World Landmarks 3-Part Cards: Learn about some of the most popular and most beloved landmarks from around the world. Find them on a map and research more about them! Coins from Around the World 3-Part Cards: Every country has its own currency. Learn about several of them with this printable set! Find the countries these coins come from on a world map! England, Ireland & France Maps: Find these three countries on the printable maps. Memorize their location and then find them on a globe! England, Ireland & France 3-Part Cards: Learn more about these three countries and what makes them so special! 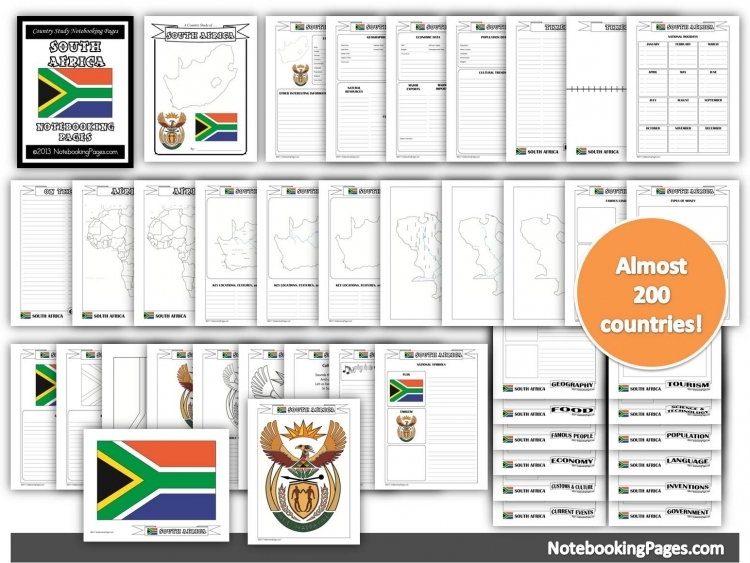 Flags of the World Set 1 3-Part Cards: This set has flags from all over the world. Research these countries, find them on a map, label them! 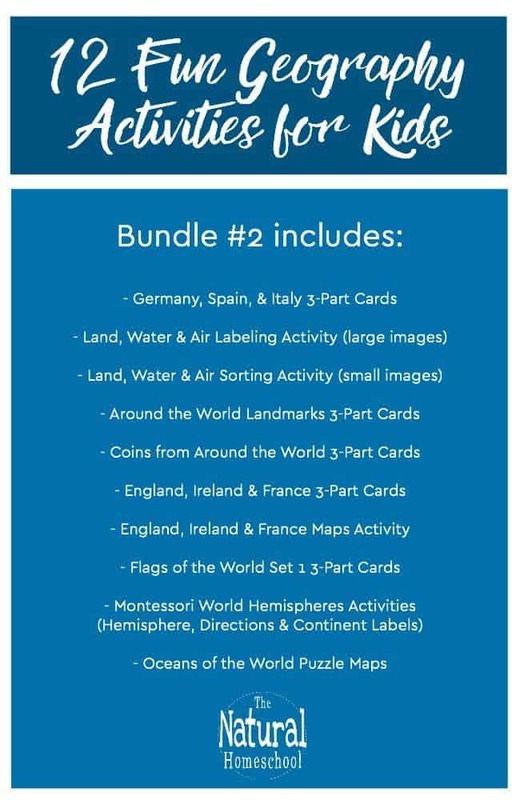 Montessori World Hemispheres Activities (Hemispheres, Directions & Continent Labels): This study unit is three activities in one, but you can do them all separately. First, learn about the northern hemisphere and the southern hemisphere on our planet. Next, learn about north, south, east and west. 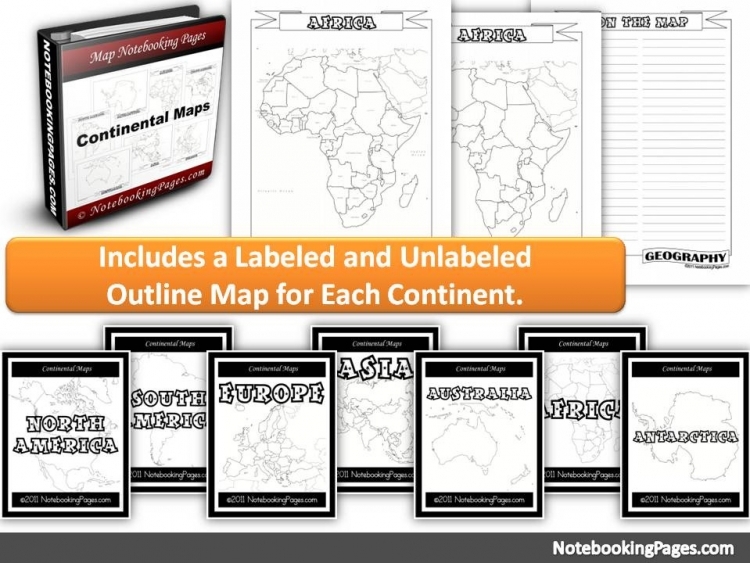 Third, learn the names of the 7 continents using these printable cards. Oceans of the World Puzzle Maps: There are 5 oceans on our beautiful planet! Use these puzzles to find them on a map and then use that knowledge to find them on a globe! « 400+ PreK-12 Online Classes for One Dollar!